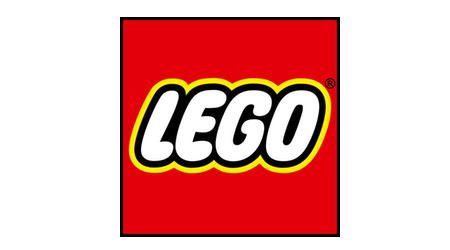 True to its motto ‘Only the best is good enough’, the LEGO Group has been emphasising the importance of high quality since 1932, where the founder Ole Kirk Kristiansen began making wooden toys. High quality and safe products have remained the focal point for the LEGO Group throughout the years - and it still is. LEGO products are tested rigorously to live up to the strictest safety and quality standards as well as our own high expectations. This approach has made children and adults return to LEGO products time and again. Digital has become one of the largest play spaces. These days, it seems like almost every kid has a tablet or a phone to play on. The future of play is more dynamic, social and gamified. Digital play being a relevant part to the current generation of kids, creates new opportunities for us to explore by embracing digital and games. 2018 is a year of transition to LEGO Games. The three streams of LEGO Games being console, mobile games and TTL (toys-to-life) are reinventing their business models. Each of the three streams have their own challenges for achieving the main goal of being relevant to kids digitally and by creating a self-sustained business measured by reach, recruitment, retention and revenue. •	Console - The most established stream. Operating under classical DVD sales business model. •	Toys-to-life (TTL) – Historically limited to monetization options. At the moment exploring different business models possibilities. •	Challenge our new strategic direction suggesting recommendations for improvements in terms of business model. Ideally we would like business model to empower Fluid Play – an ecosystem of LEGO games, which could be enjoyed with minimum friction moving from Console to Mobile to TTL - magnify the fun and increase brand loyalty. We are open for innovative ideas and cross-references from other industries or our competitors e.g. monetization model like a battle pass, amazon prime and alike. Important to note that we are marketing our products to kids, therefore we are operating within boundaries that not many companies face: e.g. child safety, GDPR-K, COPA compliance, fair and transparent monetization rules. Student needs to take into consideration all of the limitations to come up with transparent child safe business model. We will provide access to our NewZoo databases with quantitative data to define player profiles. You will get an extensive array of industry reports, market reports for each gaming category, kids digital play, gaming behaviour, App Annie analytics data. This should give you more than enough information to understand past, current and future of the gaming industry. For this project we are looking at smart group of students or a student with relevant study line in innovation, entrepreneurship, business development and alike. Previous experience in product development, market research, statistics or creation of a business model would be highly advantageous. We expect you to take full responsibility for driving this project from the beginning till the end. Our team will provide a support to answer questions, give access to relevant people and data. As LEGO Games is built on love for games, we expect you to have the same drive.